We are over half way done with our school year. Wow! Hubby and I just had a tough decision to make. Are we going to sign up P’Diddy for four year old preschool next fall or continue on with our preschool homeschool? After much discussion and prayer, we have decided to keep him home with mama as the teacher again. Fun! 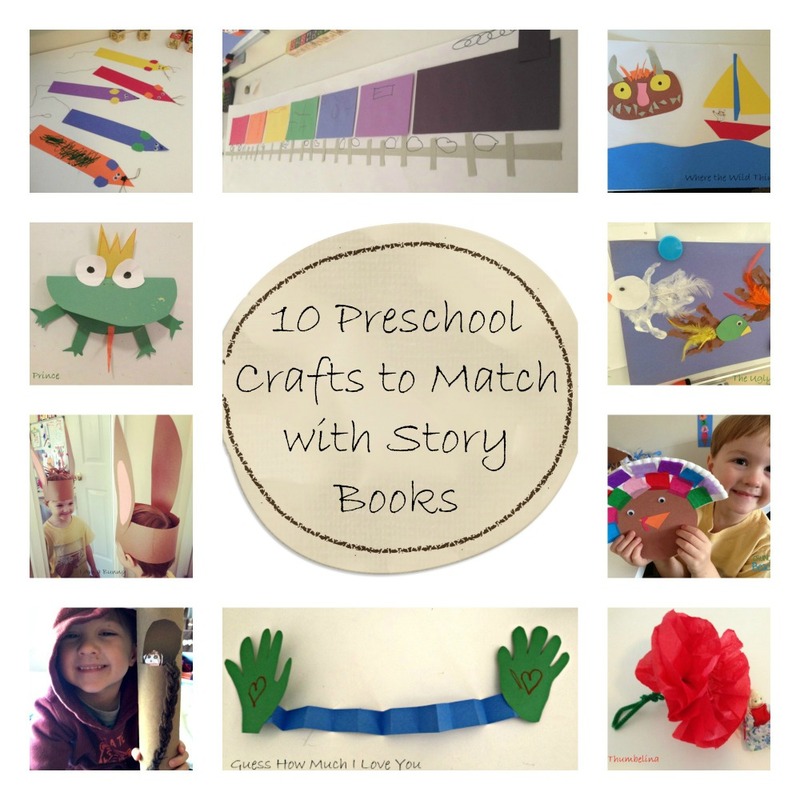 Today I want to share our favorite preschool story and craft ideas. Here is the countdown to our Top 10 Favorite Story and Craft Ideas that we have done the first part of this school year. I got my ideas by Googling, Pinterest and using what I had laying around! 10. 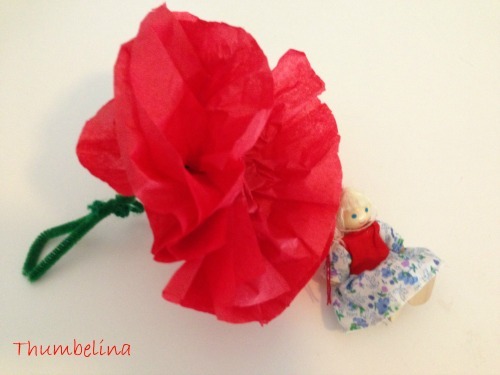 Thumbelina – tissue flowers are easier than I thought! Search You Tube and follow along. 9. 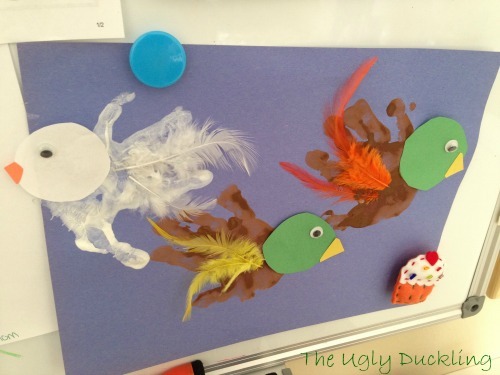 The Ugly Duckling – paint their hand and have them press on the paper for a handprint – the body. Cut out a circle for the head and glue on feathers for fun. Add eyes by drawing them on or use google eyes. Don’t forget to make one a swan! 8. 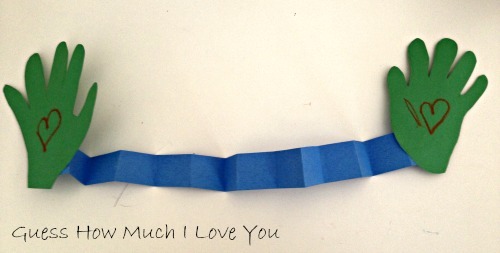 Guess How Much I Love You – Measure your child from fingertip to fingertip (I just used the largest sized paper I had) and fold up a strip of construction paper to that size into an accordion. Trace your childs’ hands and cut out to glue on the ends. They love you this much! 7. 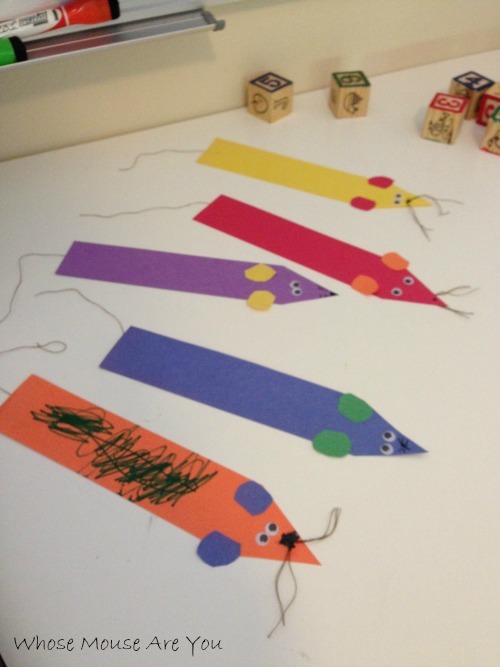 Whose Mouse Are You – We made bookmarks for the whole family and surprised them at dinner that night! Cut into mouse shape, add ears and eyes and thread or string for whiskers and a tail. 6. 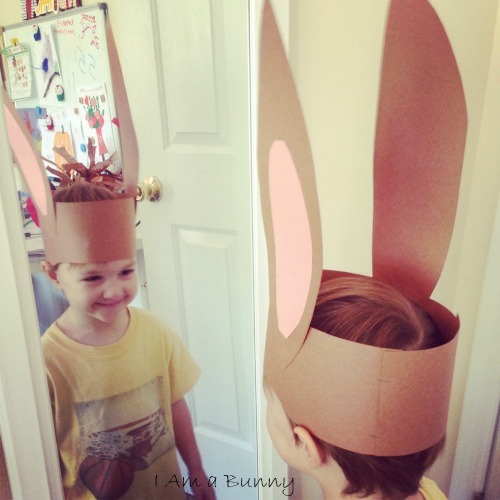 I Am a Bunny – measured his head around and glued two large strips together to his size. Traced and cut out ears to glue on. He loves this hat. We saved it and will be wearing it for Easter activites! 5. 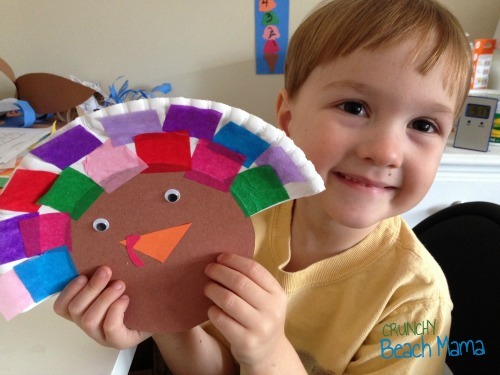 Turkey Craft – made this during our Thanksgiving week. 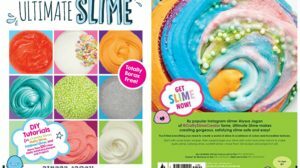 Super cute and you could do any variety of colors with your tissue paper. Glue your squares onto a half of paper plate. Don’t forget his red snood! 4. Rapunzel. When I saw this idea on Pinterest I had to attempt it. Grab her instructions because they are genius! 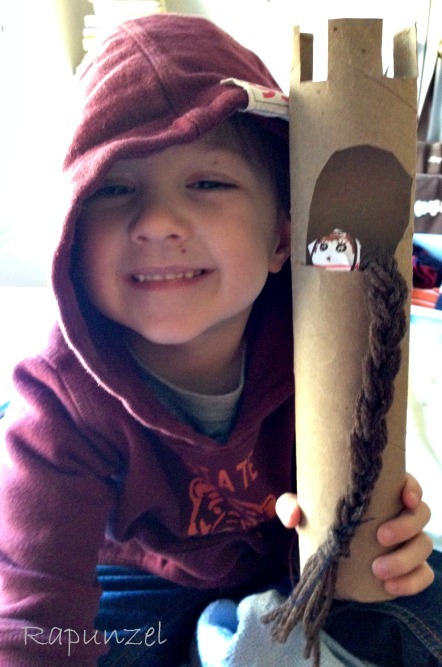 The hair can be moved in and out – just like Rapunzel! 3. 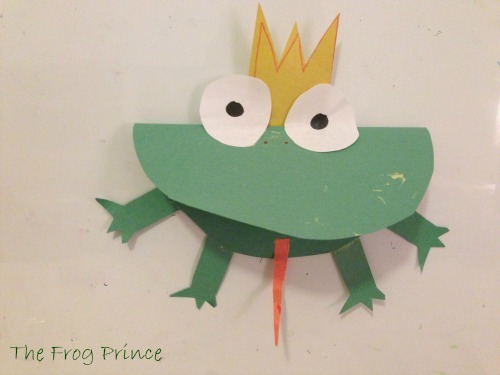 Frog Prince – trace a large circle and cut out. Fold over. Add legs, eyes, tongue, and the crown. Ribbit! 2. 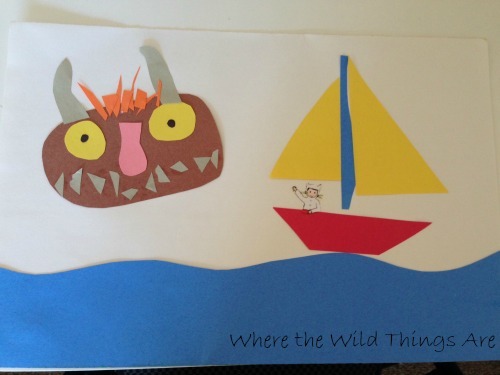 Where the Wild Things Are – super simple and fun! Just cut out shapes and try to let the little ones practice their cutting and pasting as much as they can – it doesn’t have to be perfect. I found the image of Max by googling! 1. 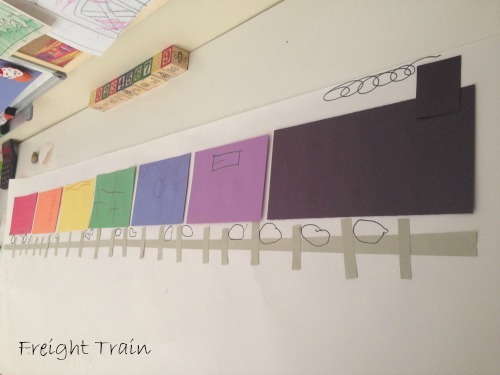 Freight Train – this is my #1 favorite! We have pinned up on the wall and I don’t think I’m ever going to take it down! We have a large roll of paper that this worked great for. Each color car is directly from the story. P’Diddy practiced his circles by drawing the wheels. 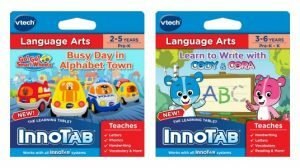 What Preschool Story and Craft Ideas did you want to try? This week I posted DIY Valentine Love Bug Pencil Toppers that are super easy and cute! 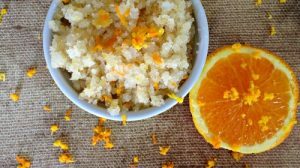 Visit our other Preschool Homeschool Posts including Food + Books ideas & Craft + Bible Story ideas. Visit Julie’s post today at A Year With Mom and Dad about What To Do With Toddlers While You Homeschool. These are awesome! I am definitely trying a few of these soon! Thanks for the inspiration!